That the smart phone can record voice is an acknowledged feature to us all. Apple and Samsung, two tycoons in the smart phone field provide different method to save voice memos. Apple’s iOS system saves the voice recordings in .m4a format while the other one in .3ga format. If you email your voice memo to people who have phones running a different mobile system within mail apps on your phone, the receiver can’t open it successful unless you convert voice memo to mp3 format. Keep reading the content below to know apps that you can make use of to convert your voice recordings to mp3 or other formats you want to use. iTunes is a media player created by Apple Inc., able to organize files, broadcast radio, download music and video and the most importantly, manage portable devices. iTunes is available on both Mac and Windows. To convert voice recording to mp3 on iTunes, open iTunes and navigate to the music section where your voice memo files can be found. Click “Edit” > “Preferences” > “General” and look for “When you insert CD”. 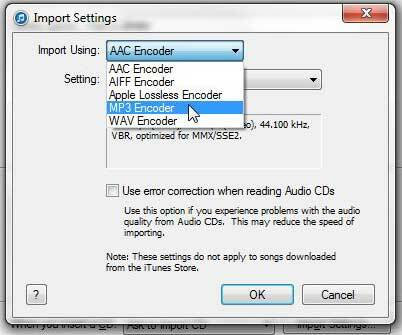 Then select “Import settings” and change “Import Using” from “AAC Encoder” to “MP3 Encoder”. After that, go back to the music section and right click the voice memo you want to convert. Click on the option “Create MP3 version” and you’re done. Very convenient for iPhone or iPad users. Not suitable for Android users. Log into the app by going to official page of Video Grabber. Press “Convert Video” tab and click “Select files to convert”. Choose files from your PC you want to convert. You will find the files are fully loaded already. 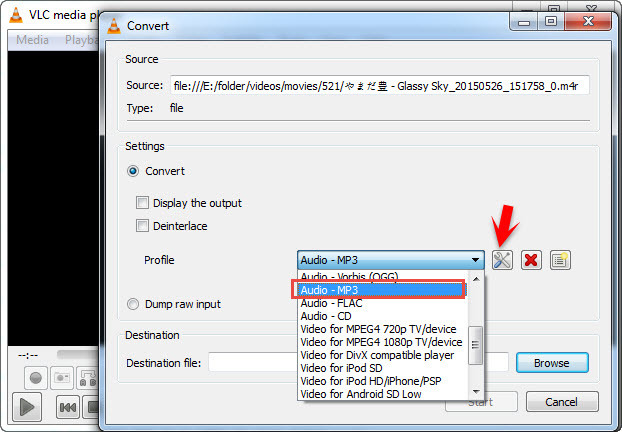 Click “Format” button and select MP3 for the file. Press “Convert” button and your file will automatically be saved on your PC. Builds multi features (converter, editor, downloader and recorder) in one app. Aside from iTunes and Video Grabber, there is another desktop app which is the VLC player. 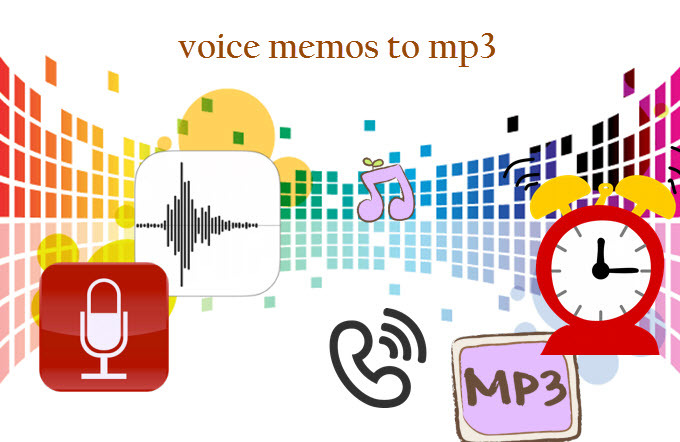 This player does not only allow you to play audio and video files but it can also serve as your voice memo to mp3 converter. Follow this guide to convert voice memos with VLC. Open VLC media player. Under “Media” tab, click “Convert/Save” or simply Ctrl+R. Click “Add” under “File” panel and add the voice memo on your computer. Click “Convert/Save” or press Ctrl+O and choose the format you want under “Profile” menu. Select destination file and add file name to your audio. Click “Start” button to begin the conversion. Support all kinds of formats. Convert a file at a time. 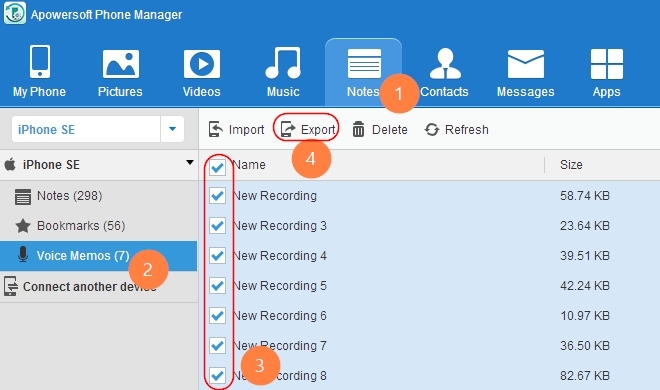 After converting voice memo to mp3, you may then use it as your ringtone for incoming calls, alarm clock and Apowersoft Phone Manager can help you with that. This app is designed for transferring/managing files between your PC and devices with USB or WIFI connection. To transfer voice memos as ringtones, follow these steps. Download Apowersoft Phone Manager on your computer and connect your phone to the computer via USB cable or WiFi connection. Go to “Notes” and then choose “Voice Memos”. Once done, go to “Music” > “Ringtone”. Click “Import” and choose memo files from your computer. Click “Ok”. Your selected voice memos will automatically add to your Ringtones. Go to your phone settings, click “Sound” > “Ringtones”. Select from your added voice memos. Creating personalized ringtones will not be difficult anymore for you. With the help of this app, you can easily transfer voice memos between devices and make it your ringtones. 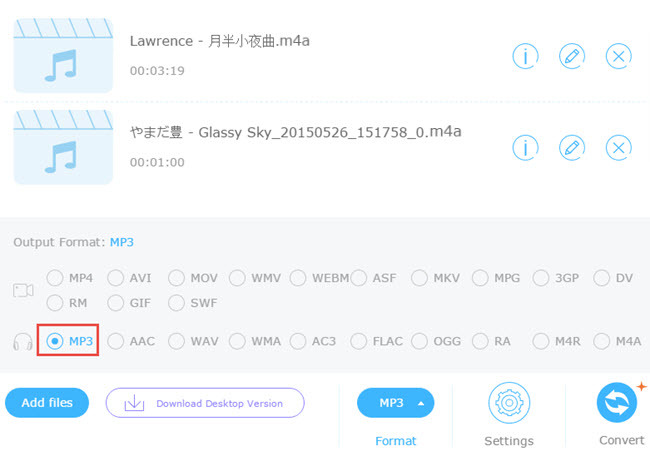 The next time you want to convert voice recording to mp3, you can use these three applications. However, if you want to experience a quick and easy conversion process, Video Grabber is definitely the best choice for you and it also has Pro version for you.